WHAT IS THE LANDSHARK Bar & Grill Dining Rewards PROGRAM? The LandShark Daytona Beach Dining Rewards Program was designed to thank our wonderful guests (like you!). Rewards members receive points for Restaurant transaction ($1 = 1 point) by texting your dining check number to 386-401-5266. Once a guest earns 150 points, these points will be redeemed for a $10 reward. HOW DO I JOIN THE LANDSHARK Bar & Grill Dining Rewards PROGRAM? By texting your first check number to 386-401-5266, you will be automatically enrolled or you can text JOIN to 386-401-5266 at any time to enroll. As a bonus, you will earn you 75 bonus points just for joining the program. Restaurant purchases for food and non-alcoholic beverages will be credited points. Points will not be issued for retail purchases or the purchase of gift cards, discounts, promotions, tax or tip. Your server will provide you with your check at the end of your meal. Prior to paying for this check, please text your check number to 386-401-5266. You will receive a confirmation text with your new point balance. WHAT IF I FORGET TO TEXT IN MY CHECK NUMBER? You can visit www.forgotmypoints.com to submit your check for points. Please note this courtesy is only extended 3 times per guest, per year. HOW DO I FIND MY CHECK NUMBER? Your dining check number is a 4-5 digit code that is located near the top right side of your check. Should you need further assistance, your server or bartender can help you locate your dining check number. CAN I APPLY MULTIPLE CHECKS TO MY ACCOUNT? There is a limit of 3 checks per day, per guest. CAN I REDEEM REWARDS AT ANY LANDSHARK LOCATION? 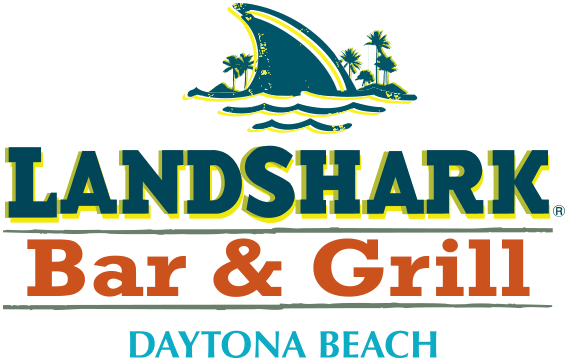 At this time, the LandShark Bar & Grill Dining Rewards Program is available at the following locations: Atlantic City LandShark Bar & Grill, Branson LandShark Bar & Grill, Daytona Beach LandShark Bar & Grill, and Myrtle Beach LandShark Bar & Grill. Members cannot redeem rewards at a LandShark location that is not participating in the program. Points earned at any participating location can be redeemed at any of the current participating locations. HOW DO I EARN POINTS FOR MY PURCHASES AT LANDSHARK DAYTONA BEACH? There are two ways to earn points for your LandShark Daytona Beach purchases. You can text your check number to 386-401-5266, or you can provide your server/bartender with the mobile number associated with the program and they will be happy to submit the check number on your behalf. You will earn 1 point for every $1 spent at LandShark Daytona Beach on food and non-alcoholic beverages. Tax and gratuity are not included. HOW DO I REDEEM MY REWARDS AT LANDSHARK DAYTONA BEACH? You will be made aware of any rewards or offers available when your text you check number to 315-217-6082. Rewards and offers will automatically be applied to your check. Ask your server for an updated check once you receive your reward confirmation text. WHAT IF I FORGOT TO REDEEM MY REWARD? Your reward will remain on your account and may be used on your next visit. HOW DO I CHECK MY REWARD BALANCE? Upon texting your check number to 386-401-5266 you will automatically receive your account balance with confirmation of your transaction. You can also text BALANCE INQUIRY to 386-401-5266 at anytime. WHAT IF AN ORDER IS $10.75? DO I GET 10 POINTS OR 11? 11 points. Transactions are rounded to the nearest dollar amount from $.50. IF I HAVE 75 POINTS, CAN I GET A $5 REWARD? No, rewards are earned in $10 increments. You must reach 150 points before you get a reward. IF I HAVE MULTIPLE $10 REWARDS EARNED, CAN I REDEEM ALL OF THEM AT ONCE? Yes, multiple rewards up to $100 can be used on a check. The $10 rewards are set up for auto redemption, which means that if you have a $150 check and have a balance of $60 rewards, then $60 in rewards will be deducted from your this transaction using the LandShark Daytona Beach Dining Rewards Program. WHAT IF I REDEEM A REWARD BUT MY CHECK TOTAL IS LOWER THAN THE REWARD AMOUNT? The excess reward not used will remain on your account. For example, if you have a $10 reward but your total is $9, $1 will be your new account credit balance. IF I FORGET TO TEXT MY DINING CHECK NUMBER WHILE AT THE RESTAURANT, CAN I STILL GET POINTS FOR MY VISIT? You have up to 2 hours from the time the check was printed to text your dining check number to 386-401-5266 and receive credit for the visit. Should you miss this deadline, you may submit your check number at www.forgotmypoints.com. HOW OLD DO I NEED TO BE IN ORDER TO PARTICIPATE IN THE LANDSHARK DAYTONA BEACH Dining Rewards PROGRAM? You must be at least 18 years old to participate. By texting your dining check number to 386-401-5266 you are acknowledging that you are eligible to participate in this program. HOW DO I OPT OUT OF THE LANDSHARK DAYTONA BEACH Dining Rewards PROGRAM? Simply text STOP at any point to 386-401-5266 to stop participating in the Landshark Daytona Beach Dining Rewards Program. Cancellation of this program will void all rewards and points previously earned. CAN I EARN POINTS AND REDEEM REWARDS ON ONLINE ORDERS? No, Points cannot be earned or redeemed on online orders at this time. DOES IT COST ANYTHING TO BECOME A LANDSHARK DAYTONA BEACH Dining Rewards MEMBER? LandShark Daytona Beach Dining Rewards program is free to join, however your normal mobile text and data fee still apply. WHEN CAN I START EARNING POINTS? You can start earning points right away! Simply text in your dining check number from your LandShark Daytona Beach visit to 386-401-5266 to start earning points. CAN I EARN POINTS ON GIFT CARD PURCHASES? No, points will not be earned for the purchase of gift cards. However, if the recipient of the gift card is an active LandShark Daytona Beach Dining Rewards Program member, points will be issued upon the gift card redemption. Points will be rewarded for qualifying purchases of the full check amount after any rewards or promotions have been deducted from the check. For example, if your total is $15 and you redeem a $10 reward, you will earn 5 points. CAN I REDEEM A $10 REWARD FOR AN ALCOHOLIC BEVERAGE? No, $10 rewards are only available for food and non-alcoholic beverages. DO MY REWARDS OR OFFERS EXPIRE? $10 rewards do not expire except as provided in the Terms and Conditions. However, offers may have expiration dates which will vary and are identified with each offer announcement/notification. If you are viewing an offer that was sent via text, you will need to show the text at the time of purchase as instructed in the text. I CAN'T FIND THE ANSWER TO MY QUESTION ON THIS PAGE. WHO DO I CONTACT? We're here to help! Email us at DiningRewards@mlandsharkdaytonabeach.com.